Located in Hillman, MI, Thunder Bay Resort’s inspiring golf course offers enchanting views of Northeastern Michigan’s premiere countryside. Plush fairways carved from the regal hardwoods, birches, and marshlands span over 6,700 yards offering charm, comfort and allurement allowing golfers to escape from everyday life. 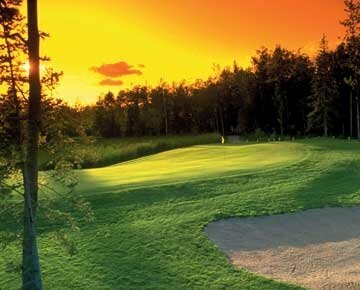 Don’t be fooled, though, Thunder Bay’s pure landscaping still proves to be a challenging experience for any level of golfer embracing protected greens and tree lined fairways.